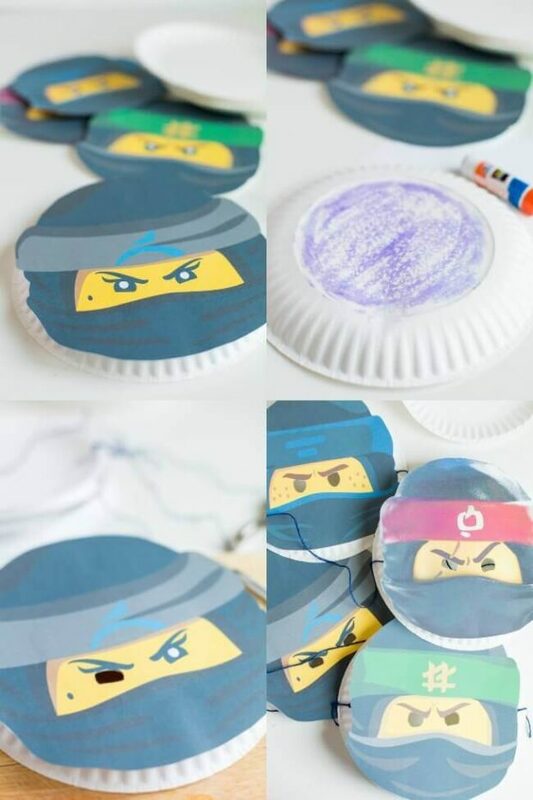 Your children can explore their inner ninja warrior by DIYing their own Movie character masks. 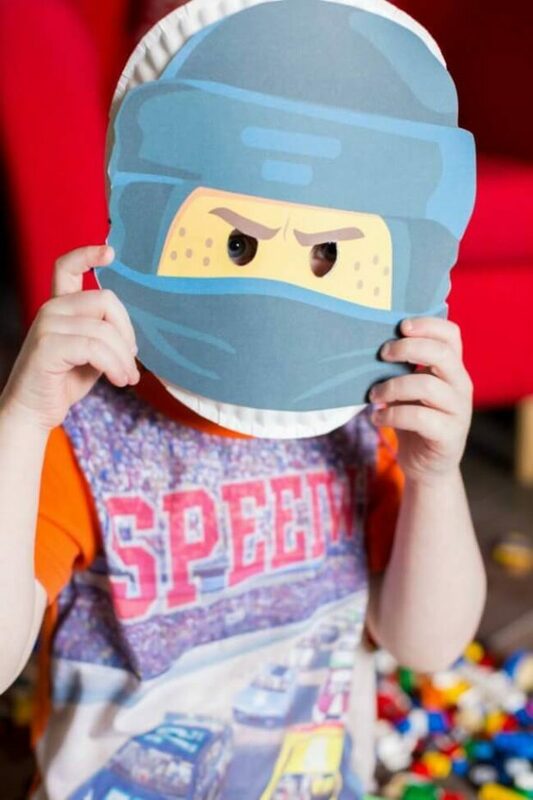 Follow along to get our free printable Lego Ninjago character masks, and plan to spend some quality time with your favorite little ninjas. 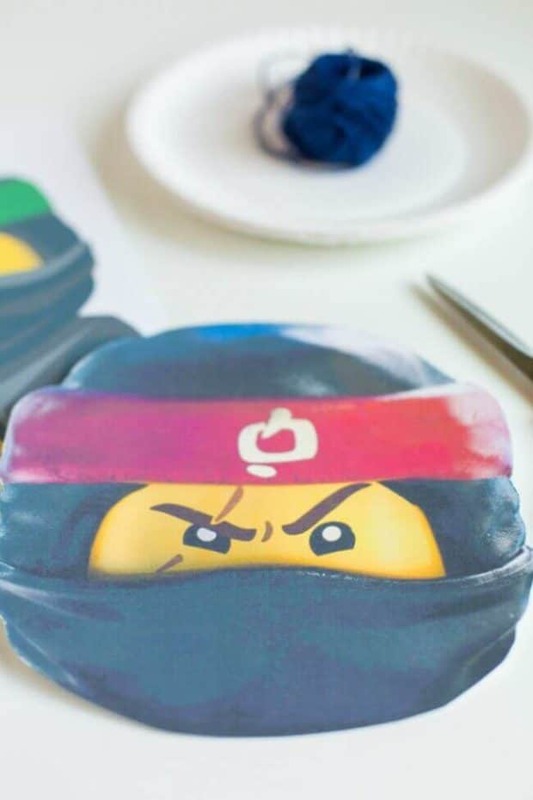 These are great for a Lego Ninjago Movie viewing party or a Lego Ninjago Birthday Party! 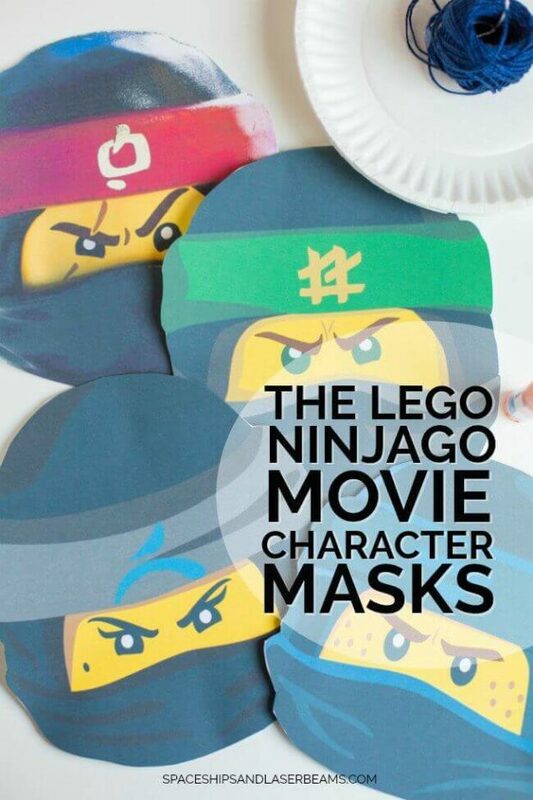 Your children will love choosing one of four masks representing some of their favorite Lego Ninjago Minifigure characters from the Lego Ninjago Movie. Masks for Jay, Loyd, Nya, and Cole are available. My boys think all four characters are super cool. 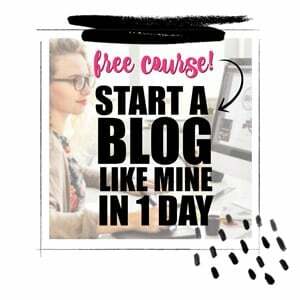 A little adult hands-on help is needed to get started. First, you can access the printable masks here. You can print the masks from a home printer or save the files to a thumb drive and take it to your favorite local print shop. Using cardstock is advisable for durability, but you can also mount your mask on paper plates for extra stability. Next, assist or supervise your child(ren) with scissors as they cut out their chosen mask. Once the mask is fully trimmed, use a hole punch on each side of the mask and insert string. The string should be cut into lengths long enough for comfortably tying around the wearer’s head. Once your child’s mask is finished, help them tie it on and watch them transform into their favorite Lego Ninjago character right before your eyes. Get ready for loads of legendary play as your child embraces his inner ninja warrior spirit.